Susannah York won the Best Actress award at the 1972 Cannes Film Festival for one of director Robert Altman’s most intriguing but difficult films. It was Golden Globe nominated for 1973 Best English-Language Foreign Film. She plays disturbed married heroine Cathryn, a schizophrenic housewife who questions her sanity when she finds herself battling actuality as her mind is haunted by troubling images of her life, of a former lover who died and of her fantasies, not knowing if these are demons of the mind or part of reality. It is a dream, or rather a nightmare, of a film, with a screenplay by the director based on the star’s own book In Search of Unicorns. Beautifully assembled and orchestrated by Altman, it is a very offbeat film and not at all easy going, but with effort it is possible to get into it. 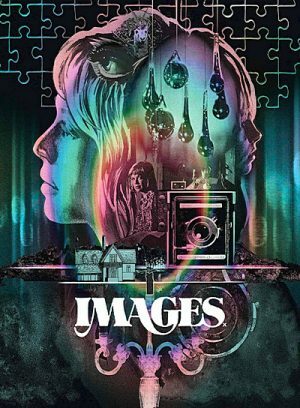 • Imagining Images (1080i; 24:31) is an interesting archival piece with on screen Altman interviews. • Interview with Cathryn Harrison (1080p; 6:04) is a new piece with the actress. • Appreciation by Stephen Thrower (1080p; 32:26) offers some good insight from the critic and musician.